There are nearly 47,000 search queries typed into Google every second. These add up to 3.5 billion searches in a day or 1.4 trillion searches on an annual note. If your business’s traffic generates online via the Google search, there you’ve got some fierce competition to deal with. Since there are billions of search conducted every second, you need to ensure that your search engine optimization (SEO) game is strong. This is necessary because good SEO is the bridge that connects customers to your business and helps generates leads. 93% of experiences are birthed with an internet search, and your chances of making it to the first page of Google search are slim. The top results pose 33% of odds of getting clicked, which translates into a third of potential traffic to your website. Missing this opportunity and getting ranked on the second page of Google will not yield much as 75% of people won’t even move to the next page of search results. Furthermore, an Infront Webworks study confirms that Google’s first page gets 95% of the web traffic. The subsequent pages receive 5% or less of it. Such a picture only shows that your chances of success are bright if you make an effort for improving your organic ranking. Content is a useful means to hold your audience’s attention. Meaningful and relevant content is a useful bait in keeping a person on your website, which is known as dwell time. On a strict note, dwell time is the amount of time visitors spend on the website, which substantially influences your organic ranking. At the same time, fresh and high-quality content is a glittery token that not only attracts visitors, but entices them to return to your website. In this way, visitors keep coming back to your website, which gets you more traffic. Last but not the least, useful content encourages visitors to bookmark it on Chrome. Google Chrome is regarded as the most popular browser with 45% of the share in the Internet browser market. Therefore, getting bookmarked on Chrome will improve your website’s SEO ranking. Not to forget, 72% of the e-marketers consider content creation as the most effective trick in the SEO bag. In addition to ensuring that you post quality content, it is essential that you don’t forget the element of originality. SEO stands on the foundation of individuality. Same text or duplicate content does harm to your organic ranking. In this context, republishing articles from other sources is also harmful to your site’s SEO. Tools that sniff out plagiarism are helpful in this case. They help you to stick to the plan of original content and point out any unintentional duplication that can be rectified then and there. By posting original content, you can also gain your visitors’ trust, which is an essential ingredient for good SEO. A slowly loading website does two-way damage. Firstly, Google detects the crawling pace, which hurts your site’s organic ranking. Secondly, a slow speed poisons customer conversion rate and amps up the abandonment rates for your business. The second factor links back to the first one, as visitors don’t engage with your website, resulting in a loss to search engine ranking. Slow page load time costs a business $1.6 billion in lost sales yearly as per the calculation of Amazon. Studies also highlight that 40% of the visitors leave a site if a page loads in more than 3 seconds. Over and above that, 80% of the visitors do not return the slow-loading website. On the other hand, visitors keep coming if the page loads fast. It puts forth the utmost need for optimizing the page load time of your website. You can start by checking your website’s load time and upgrade your site’s speed subsequently. Optimizing images is an excellent way to accelerate load time. Images are applauded for captivating your viewer’s attention. It’s no wonder that pictures are known for speaking louder than words. While using high-quality images for your website is a rule of thumb, there are ways to optimize images as well for improving page load time. Factors like file size and format play a critical role in boosting your organic ranking. Huge images take a lot of time in loading, resulting in increased page load time, hurting your search engine ranking. To this end, compress or resize images for their optimization. You can also use keywords in the image’s title, description, alt tag, file name, and caption. 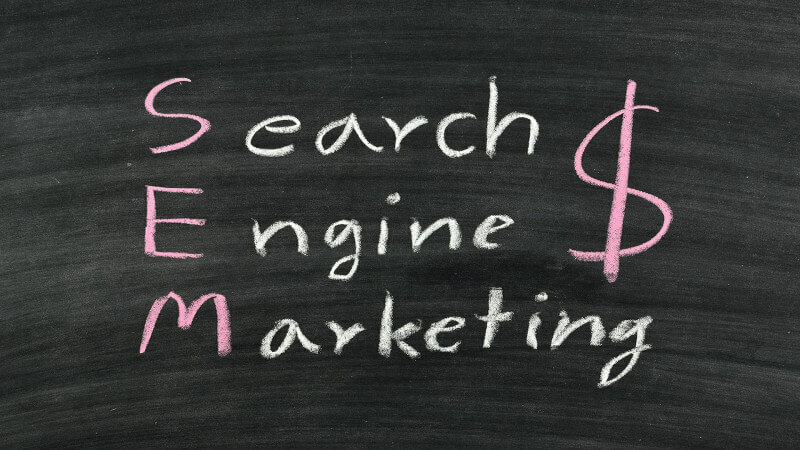 This forges a relevancy link between your image content and search engines, therefore, improving SEO. The content on your website should steal features from a plainly painted, white wall. Such content is not appealing to the eye and fails to get any attention from the reader. Proper formatting is the antidote in this case, as it enhances user experience. It also motivates readers to spend more time on your site per visit. Additionally, readers are also able to weave intentions of returning to the website that showcases readable content. All these factors ultimately tweak your organic ranking. As a means to this end, use proper header tags. These break content into sections, which makes them easy to read. You can also sneak in keywords in your heading, as search engines happily rank keywords in your header tags as a result of which the SEO ranking amps up. A user-friendly layout improves the user experience. The clean design of the website boasts the dwell time and visitor engagement. Both of these pointers are vital for your organic ranking. Simultaneously, a clean format boasts SEO. Therefore, dedicate a good time to your webpage’s architecture. Ascertain that the layout is uncluttered, clean, and observes a proper organization. Use typography and font size that promote easy reading. Keep your paragraphs short with ample line spacing. Make use of bold font, italics, and colored text sparingly. Format your content in the form of checklists and bullet points that add to the clarity. Bullet points allow readers to scan through the text and also make it easy to read. Use of header tags also improves formatting. Do not clutter your page with excess amounts of pictures, colors, or advertisements, as these leave an untrustworthy impression of the website. The meta description is a small window that gives a quick peek into the webpage’s content. Google displays this description under the page title. It is here that a visitor decides if he wants to click and read your material, which is known as the click-through rate. Therefore, a compelling text in this area has the potential to swell the click-through rate. You can insert researched keywords in this text as well. Insertion of the keywords proves very crucial as the words which align with the searcher’s query are shown in bold. Thus, you should ascertain that the preview to your content is worth visiting. Additionally, never use the same meta-text. Neil Patel advises blogging is great for business. Businesses that publishing blog posts have 13 times more chance of achieving a positive ROI. Blogging helps to quash some great marketing challenges that are faced by both B2B and B2C companies. Additionally, businesses that run a blog are likely to have 434% more indexed pages. Indexed pages are essential factors for SEO as your business’s content crawls in the search engines. 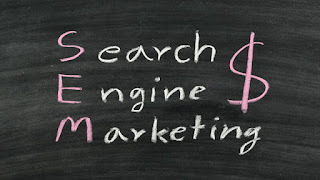 Consequently, a search engine is better able to recognize your website as an info pool for people. Also, according to HubSpot, 53% of online marketers hold blogging as their foremost priority. The same source also outlines that blogging helps brands improve their ROI. Blogs allow you to use more keywords, improve the site’s readability, and attract and engage with visitors. You can also incorporate links in your blog post as well as use images. If you can gather faithful readers, you will also be able to generate more traffic to your site. Also, putting up the updated content of good quality improves the dwell time. All these factors encourage enhanced organic ranking of your business. Closely paired with clean design and formatting of the webpage is readability. It allows all types of people to dwell on your website and read your content. It isn’t necessary to always use the scholarly material in your content as nobody wants to read a Ph.D. dissertation all the time. Content that demonstrates low readability is not easily digestible so a reader might give up reading it altogether. On the flip side, posts with high readability keep readers engaged for a longer time. It also takes down the bounce rate and raises the levels of audience retention. Good readability, therefore, correlates with improved organic ranking. Some tips to enhance this mantra include using bullet points, heading, short paragraphs, simple words in short sentences. Also, prefer active voice over passive voice. Incorporating outbound links to your site works well for mushrooming the authority of your website. Linking to authoritative sources increases your content’s relevance and boosts the per visit time of readers. Outbound links are also thought to send signals of trustworthiness to Google. Hence, these links contribute to better organic ranking. Also, try to use fresh outbound links to credible sources, as it snowballs your website’s relevance. Keep their use limited, as excess use of outbound links can be distracting. On a side note, fix any broken links as these can crush your search engine ranking. For one, a broken link error can be annoying for the reader. Secondly, it can get on the nerves of the search engine too. Numerous broken links behave as signs of a neglected site, which is dangerous for your SEO ranking. Thus, fix these links at your earliest. Hi, I appreciate you visiting my blog, but please do note that comments placed on articles here does not represent the views of TechTimes and its administrators.